The world of jewelry is larger than many people realize. It is no longer relegated to necklaces, bracelets, earrings, and rings. With the popularity of body piercings, jewelry and adornment has been taken to more levels than ever before. Fortunately, the jewelry boxes at ChasingTreasure.com are designed to meet the needs of every jewelry owner. So many men and women have piercings in non-traditional places on their bodies. From belly buttons, noses, and cartilage piercings, body jewelry has become a popular industry for younger men and women. In previous decades, many people do not get their bodies pierced because the piercings were not acceptable to wear in the workplace. But now, with people working from home and online, it does not matter what they look like anymore. 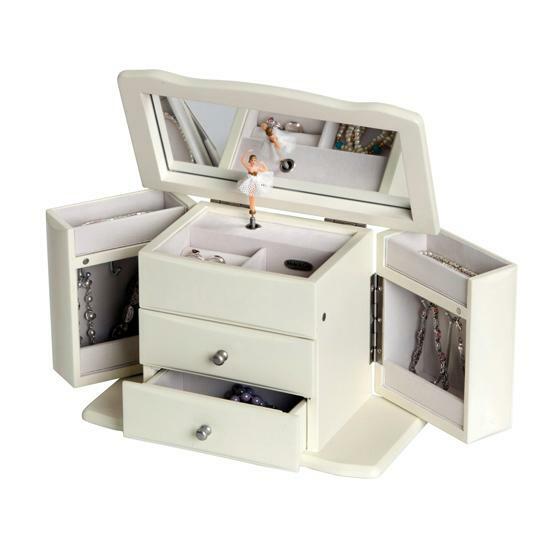 Just like men and women need jewelry boxes for fine jewelry, they also need jewelry boxes for their body jewelry. Fortunately, the Chasing Treasure jewelry box collection can meet the needs of every jewelry owner. Our earring and tie tack boxes are perfect for anyone who needs storage for belly button rings and other alternative body jewelry. Cartilage earring are relatively the same as regular earrings. There are other new types of jewelry that will also fit nicely inside of many of the Chasing Treasure jewelry boxes. Ear cuffs have been appearing on runway models and celebrities. 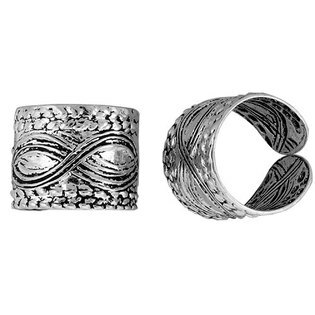 These are not the small cuffs that look like small hoop earrings, but cuffs that covers most of the outer ear and often clips to the earlobe, too. These are large pieces that would not fit in a small earring box, but would need space that a bracelet would occupy. Some women will hang their earring cuffs from necklace hooks. With the recent release of the Great Gatsby movie, women have been buying vintage jewelry and new jewelry with the vintage Roaring 20’s feel. The hand jewelry that Daisy Buchanan wears is another alternative style of jewelry that does needs a spacious spot in a jewelry box. Hand jewelry is a ring and bracelet connected by a decorative chain. It is important that the pieces are placed somewhere that will keep the chain from tangling. 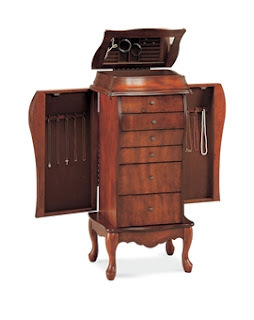 Jewelry armoires are good choices because the fact that they often have separate drawers for large and unusually shaped pieces. Alternative body jewelry can also be pieces that are made for legs and arms. Body jewelry can also be styled to be worn as a headband, too. There are some companies that handcraft leg chains and arm chains from broken pieces of vintage jewelry. Some headbands are made of jewelry pieces instead of fabric. Anytime that chains are involved, jewelry should be placed in separate compartments or drawer or hung up in a jewelry armoire. If you are unsure about what type of Chasing Treasure jewelry box you need for your alternative jewelry, our expert sales associates can direct you to the perfect box to fit your needs. Send us a message and we will respond quickly. As one of the toughest substances on the planet, the diamond earned its name. The word diamond comes from the Greek word adamas, which means unbreakable, which is what diamonds are. Diamonds have a wide variety of uses, especially as a mineral in many different industries. But, the most popular use for diamonds is in jewelry, and diamonds have been and continue to be the valuable gemstone. Diamonds have been used as a decoration on the body for hundreds and possibly thousands of years because of the beautiful structure and fire that many diamonds have. As diamonds have continued to be popular for adornment, gemologists have created ways of deciding the value and class of each diamond. The “four Cs” is the common name for the way that diamonds are classified. The first “C” is carat, which is the weight of the diamond. Many engagement rings are designed with diamonds that are one-carat in weight and many people will choose a diamond that weighs 1.01 carats over a diamond that weighs .99 carats, just for the sake of being able to say they have a one-carat diamond. 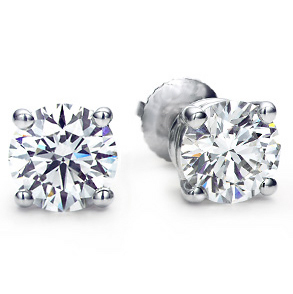 Smaller diamonds are easier to find, so the larger ones are more expensive. The second “C” is clarity and it is the clarity that decides whether a diamond can be put into jewelry or be used in an industrial capacity. Many diamonds have little flaws, called inclusions, which make the diamond look cloudy. Clarity is based on the eye of a trained professional using a magnification of 10x. About 20% of diamonds are clear enough to become jewelry and many of those have inclusions that can be seen with the naked eye. Many jewelry designers can hide flaws with the settings. The most desirable clarity is called flawless and the poorest rating is imperfect. Needless to say, the flawless diamonds are the most valuable. The third “C” is color and gemologists have several rankings for this scale. Diamonds come in a wide variety of colors, like blue, pink, brown, and yellow, as well as different variations of white or colorless. The scale for color are graded on letters, with the best colorless diamonds rated “D”. The fourth “C” is the cut of the stone. This is not the shape of the diamond, but the way the diamond was cut within the standards of the industry. There are certain terms that are applied to cuts and certain degrees and percentages. Many diamonds are not cut to the standards so they will reach the magic one-carat weight. Terms regarding the cut include the facets on the top half (the crown) and the bottom half (the girdle). Ideal percentages have been designed so that angles and depths of the crown and pavilion are cut to get the best fire out of the diamond. Even though this is not included in the grading of a diamond, the shape is very important to those who are buying diamonds. The fancy diamonds cuts include baguette, marquise, princess, heart, briolette, and pear. Right now, the most popular cut is the cushion cut, which is like a princess cut, but with rounded edges. Once you choose the perfect diamond, you can keep it safe and secure in a beautiful heirloom quality jewelry box from ChasingTreasure.com. but no one has anything as spectacular as the Hope Diamond. This breathtaking gem has been the source of much speculation as to whether or not the Hope Diamond is cursed. Regardless of the history of the diamond, two things are certain. One, the Hope Diamond is extraordinary jewel and two, the diamond’s story never gets old. Regardless of the numerous stories about the diamond, the statistics of the Hope Diamond are enough to create the sensation attention this diamond has received over the centuries it has been known to the world. The last time that gem was weighed, it was recorded as weighing 45.52 carats. The pear shaped diamond, which is about the size of a walnut is deep blue in color; with a color slightly more grey than a sapphire. Interestingly, the blue diamond shows a red luminescence when it is exposed to ultraviolet light; the red light allows gemologists know what diamonds are real and which ones were lab produced. Some also believe that the red glow is partially to blame for the stories about the curse. The diamond has a clarity rating of VS1 and the cut is an antique cushion brilliant cut with extra facets on the faceted girdle and pavilion. The Hope Diamond is a piece of a larger 115-carat diamond known as the Tavernier Blue, which supposedly came from a mine in India. 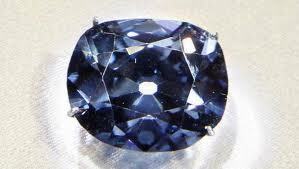 A man named Jean Baptiste Tavernier sold the the Tavernier Blue to King Louis XIV in 1669; some believe Louis XIV paid in gold and a title of nobility for the diamond, which at the time was uncut. After owning the diamond for a few years, the King had the diamond cut into a triangular stone approximately 69-carats in size. The diamond was set on a golden pin so the king could wear it to ceremonies. When Louis XIV died, the diamond was passed on to King Louis XV who had the diamond reset into a pendant surrounded by nearly 200 carats of painted diamonds in the shape of a fleece. When Louis XIV died, the diamond went to Louis XVI and Marie Antoinette. During their reign, the crown jewels, including the blue diamond, were stolen and the French Blue (Hope Diamond) disappeared. Shortly after the jewels were stolen, the pair were guillotined, which many believe is due to the curse of the blue diamond. Even though there is no proof, the curse originates with the idea that the diamond was a part of a statue of Sita, who was the wife of the seventh Avatar of Vishnu named Rama. Vishnu like to get revenge, so the rumors are that revenge was obtained through the diamond. As the diamond moved the different hands, many of the owners ended up with unfortunate endings. Two owners committed suicide, seven owners were murdered, and other owners were abandoned, left penniless, or ruined. Currently, the Hope Diamond can be seen in the Smithsonian Natural History Museum in Washington D.C., where visitors can enter the museum for free. 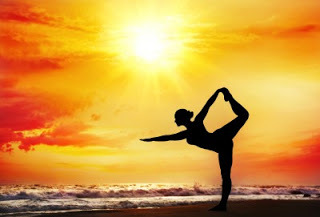 The world of yoga has grown exponentially over the years. Along with the growth of the practice, the industries that support it have also grown right along side it. Clothing manufacturers like Lululemon, Prana, and Lucy have set the standard for yoga clothing and the natural, yet fit look. Women who enjoy the look of natural textiles in comfortable and flexible styles are often seen wearing jewelry that supports the lifestyle, too. Many women who practice yoga also practice the art of adornment. This means that they often tattoo and pierce their bodies as well as wear a wide variety of jewelry. It is very common to see dedicated yoga practitioners wearing nose rings, earrings, as well as layers of necklaces and bracelets. Colorful beads, beautiful metals, and meaningful crystals are the common types of jewelry. Most women who practice yoga have at least one piece of jewelry with the “OM” symbol on it. Yoga jewelry designers are mindful of creating jewelry with this symbol, since it is so important to the world of yoga. It is common to see the symbol etched into metal or styled on beads. Sometimes the symbols is very small and subtle, just like the presence of om in the world. In other instances, the symbol is quite dominant, boldly stylized onto a necklace. Another commonly seen piece of jewelry in the world of yoga is the mala beads. These are long sets of beads designed for meditation. A set of mala beads has 108 beads, with a distinctly larger bead so that meditators know when they have reached the end of each meditative journey. Mala beads can be made of any type of bead, but since yoga is a natural practice allowing men and women to connect their mind, body, and soul, it is common to see these made of natural materials. As yogis meditate on a chosen word or phrase, they move their fingers from one bead to the next, so they can easily keep track of the number of times they chant the word. When they get to the last bead, which is larger than the over 107 beads, they stop. Most mala beads have a tassel or some other decoration hanging from the point where the large bead closes the necklace. When yogis are not wearing their mala beads, they usually keep them in a little pouch. Along with mala beads, many yogis wear layers of bracelets. Some women will wrap their mala beads several times around their wrist and then pair them with several other beaded bracelets. Along with several bracelets, it is not uncommon to see yoginis wearing several earrings, too. Because so many yoga practitioners wear long necklaces, dangling earrings, and charm or beaded bracelets, jewelry armoires are recommended for storing their pieces. Regular chest jewelry boxes do not allow their necklaces and beads to hang individually to prevent tangling. At ChasingTreasure.com, we have all of the jewelry armoires to meet the needs of yogis as well as everyone else who loves to adorn themselves in beautiful jewelry. If you think that jewelry boxes just hold jewelry, think again. Jewelry boxes and trinket boxes have been favorite places for people to store their precious keepsakes. While jewelry is the main content of most jewelry boxes, people do keep some interesting objects inside of their beautiful boxes from ChasingTreasure.com. One of the most common non-jewelry items kept in jewelry boxes are ticket stubs. Special movie tickets or concert tickets often make their way into the depth of jewelry boxes. Because jewelry boxes provide a safe location for ticket stubs, many men and women find that those are the best locations to keep their stubs in like-new condition. Ticket stubs will stay in even nicer condition if they can be stored in protective plastic cases, like the ones that people use to store their baseball cards. Storing them in plastic sleeves can prevent the ink from leeching onto the fabric liners of the jewelry boxes. Parents also keep two other items in their jewelry boxes. Many parents will keep a lock of their children’s hair in their jewelry boxes. Locks of baby hair used to be commonly kept in cedar chests, but since most families no longer buy cedar chests for precious memories, jewelry boxes end of being the storage spaces for baby memories. Another common item to find a jewelry boxes are baby teeth. Many dentists give children little plastic cases for their baby teeth, so when parents replace the teeth packages with money, they place those plastic cases in their jewelry boxes. Some people keep extra buttons and threads in their jewelry boxes, too. While these are not special keepsakes, they often end up in jewelry boxes, because they are convenient spots. They often end up in the bottom of boxes, but to keep them organized, jewelry box owners can keep them in little plastic bags to they do not overwhelm the space that should be set aside for jewelry. Jewelry boxes also end up becoming storage space for other worthy items. Many people have coins from other countries or special money like $2 bills and Kennedy half-dollars. Since these small coin collections may not be big enough for special coin sleeves and binders, they are often kept inside of jewelry boxes. Some people will keep their coins in small jewelry gift boxes so they are contained in one place. Along with special coins, many people will keep stamps from special letters they received throughout their lives. Sadly, with the advent of the email, texting, and the Facebook, people are receiving fewer letters, so special stamps are not being kept in jewelry boxes anymore. When you become the proud owner of a special Chasing Treasure jewelry box, armoire, or trinket box, you will be able to put any special and small keepsakes that you want. 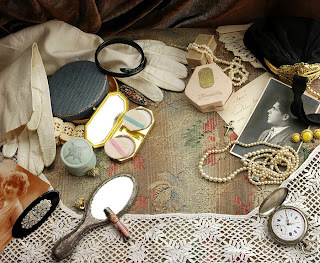 When you are ready to pass your heirloom quality jewelry box down to the next generation, they will appreciate the special items and jewelry that you kept so many unusual and special things in the keepsake box. In the movie, Titanic, there is a scene where Rose is sitting at her vanity listening to her musical jewelry box. The scene is tender and reminiscent at the same time. For many adult women, they were able to related to the sweet sound from their first jewelry box that played a tune just as prettily as Rose’s did. Music boxes have played an important role in many women’s lives and the most memorable ones for most women are the musical jewelry boxes. For many people, the first company that comes to mind when thinking about musical jewelry boxes is Mele. This company has been making jewelry boxes since 1912, when the founder Emidio Mele began making his own displays for jewelry stores. His work was quickly appreciated and put into shops on New York’s Fifth Avenue. After World War II, when the world had a little more time and money to spend, the Mele jewelry box was a successful seller at Macy’s Department Store. The first jewelry box that they sold had an automatic tray and this tray helped make the Mele jewelry box one of the top ten gifts of the 1948 holiday season; the box was even given a feature article in Life Magazine. Just a few years later in the 1950’s, Mele added musical jewelry boxes that used a precise Swiss movement, which made the music sound precise and charming. Once the musical boxes became popular with adult women, Mele introduced the iconic ballerina jewelry box for young girls. This box had a ballerina that would pop up when the lid was lifted and she would spin when the music box feature was wound. These musical ballerina boxes played favorite tunes like Fur Elise. At Chasing Treasure, we sell a full line of ballerina musical jewelry boxes for young girls of all ages. The boxes range in sizes and many come with accessory drawers and compartments for all of your favorite girl’s jewelry and treasures. When you shop for a music box, there are some features to be familiar with so you know you are getting a high quality box. Each music box contains a small motor that needs to wound in order to play. The motor is wound with a windup key or a ratchet lever that winds a spring so that it slowly releases and plays the music. Some music boxes will play for a few minutes and some will play for over an hour. Each music box has a cylinder that is covered with pins spaced to create a musical tune. The cylinder pins are played when they move the teeth of the comb, which has teeth tuned to different sounds. When the cylinder spins, the teeth ring, which makes the sound of the music box. There are some music boxes that have several combs and cylinders so that they have complex musical sounds, but many of the simple ballerina music boxes have a single cylinder and one or two combs that produce the sound. At Chasing Treasure our jewelry boxes come in a variety of beautiful wood finishes. Whether you choose mahogany, burlwood, teak, or bubinga, you will have a jewelry box that is designed to last and become a family heirloom. When you are ready to choose a fine wooden jewelry box, here is some information about the wood that we use. Burlwood: Interestingly, burl wood is not a type of tree or special kind of wood, but it is actually a growth that occurs on many types of trees. Burls grow when the tree has had some stress like a injury or a fungus. The burl looks like bulbous growth protruding from the trunk or roots of the tree. Artisans love to make furniture and sculptures out of burls because the wood is so much different than anything that can be found on a typical tree trunk. Our burlwood jewelry boxes will have unique swirls and patterns that make them look different than other wooden jewelry boxes. Bubinga: This evergreen tree is found in Africa. The tree grows to a height between 40 and 50 feet and the trunk usually has a diameter between one and two meters. This wood is a luxurious wood used for instruments like guitars and harps. It is also used in the Arts and Crafts style furniture because the grain patterns are unique. Our bubinga jewelry boxes are popular sellers because the wood is durable and attractive. Mahogany: This wood is a favorite among furniture designers and artisans because of the color that gets richer over time and the fine, straight grain. The mahogany tree is a tropical wood with a wide trunk, so it can be used for larger projects. The wood is also a favorite because it is rot-resistant. The wood is also a favorite for instrument makers because it has a deep resonant sound when compared to other woods. Our classic mahogany jewelry boxes add a richness to any bedroom decor. Cherry: Cherry is a popular wood because of the soft red color. This wood comes from trees grown in the eastern part of the United States. The hardwood has become a favorite for cabinet makers because of the durability and color. It is also a popular wood for artisans who carve. Like mahogany, cherry has a fine grain with very few imperfections, which makes it a favorite among those who appreciate clean lines. Maple: Maple trees have long been used for things like wood furniture, baseball bats, and even things like bowling lanes. Maple comes in a variety of different wood grains which is another reason that it is so popular with artisans and craftsmen. Many of our maple jewelry boxes come in those different wood grains, like the birdseye maple or the flame maple. This classic wood is lighter in color than mahogany and cherry. Teak: This wood is often used in outdoor furniture or in boat building because it is an oily wood that withstands the weather. When it is untreated, the wood will often turn a silvery tone. However, our jewelry boxes have treated teak wood, so the tropical wood will retain its yellowed-brown hue. This wood is a favorite in modern designed homes.